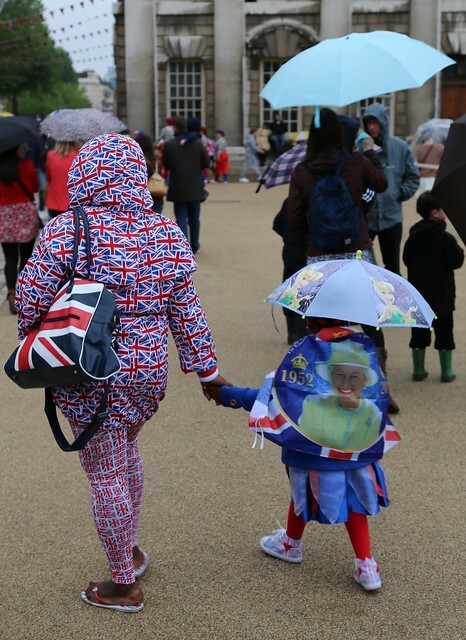 HUNDREDS of people braved the rain to enjoy a Diamond Jubilee street party in the Old Royal Naval College this afternoon. 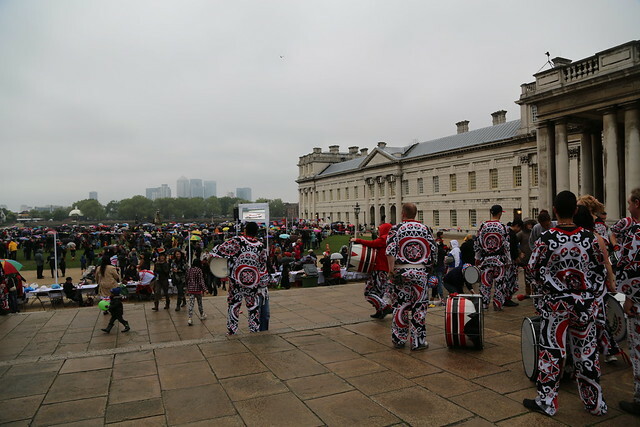 There was live entertainment and a large screen for spectators to watch the Diamond Jubilee River Pageant, despite the wet and miserable weather. 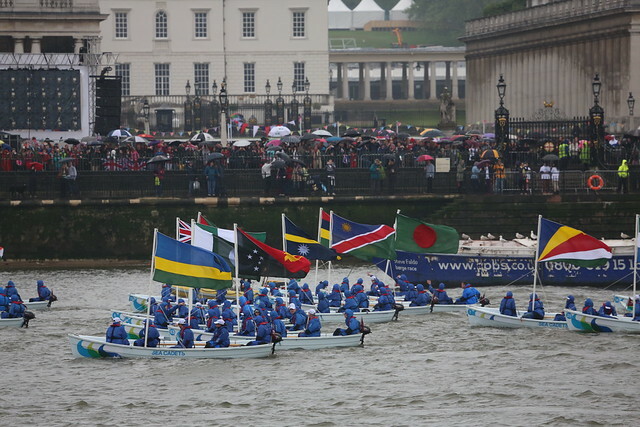 The pageant, the largest seen on the river for over three hundred years, formally ended at Tower Bridge but hundreds of boats dispersed along the Thames, passing Greenwich on their way. 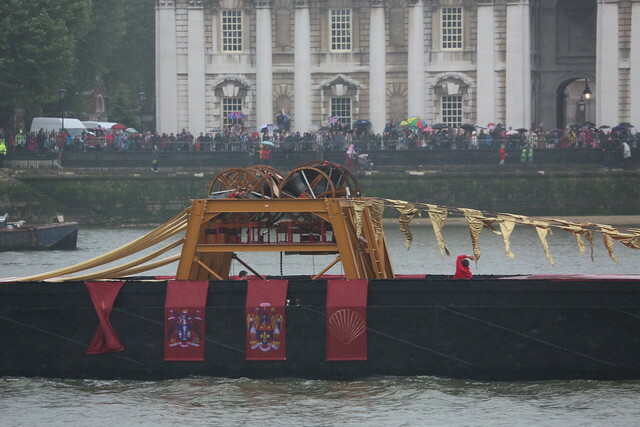 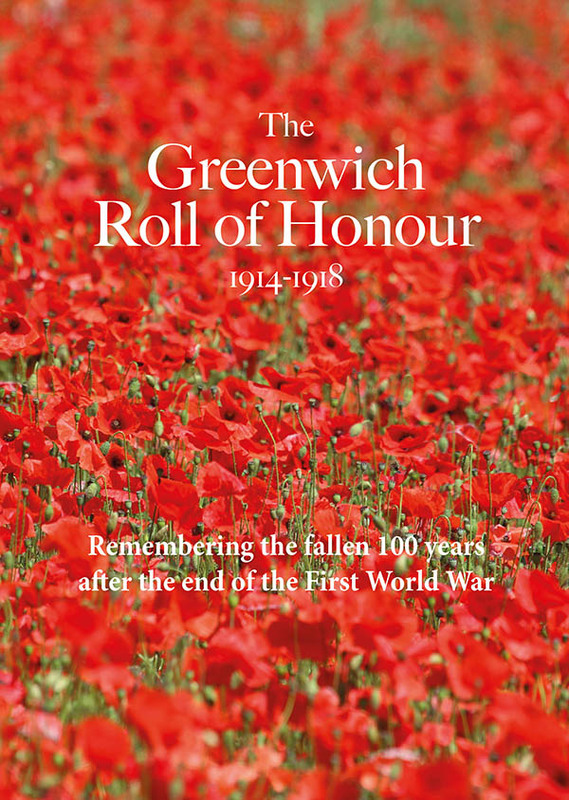 Shortly before 5pm, the crowds that had gathered under umbrellas on the banks of the river cheered as the belfry came into sight carrying the Royal Jubilee Bells, followed by the Royal row-barge Gloriana. 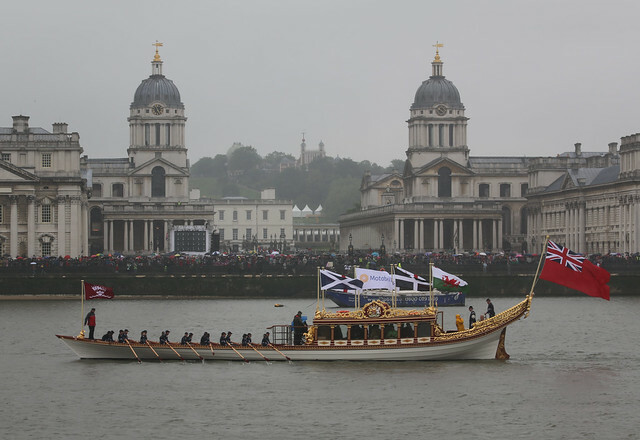 Late on Sunday evening, the Spirit of Chartwell, which carried HM The Queen in today's pageant, moored briefly at Greenwich Pier before docking for the night at the mouth of the Royal Docks.